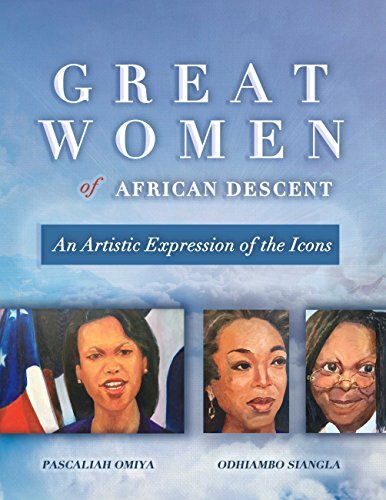 This book presents portraits of twelve great women of African descent, honoring and recognizing their contributions, achievements, and positive impact on our society. The book is divided into seven chapters, highlighting the purpose of this book, its organization, associated literature, and the lessons the authors and our larger society have learned from these women. 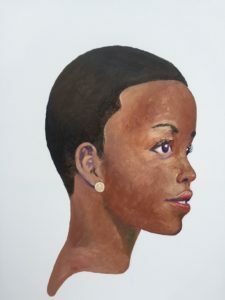 The book artistically presents beautiful studio paintings of selected iconic black women who are descendants of Africa. The volume recognizes and credits the women’s exceptional work, their achievements, as well as their positive contribution to and impact on society. By extension, this book validates and celebrates women in our time. It supports, communicates, and solidifies their trade and realizations. The work identifies these iconic women as influencers and actual figures existing in our time. It therefore adds to their notable and significant work as part of the historical record. The book also accelerates the path to victory for other women. Further, it emphasizes education in general and self-education in particular as critical and key ingredients to fulfillment and success. With this publication, the world becomes more diverse and improves because of that diversity. This book is written for a reader interested in our world in general, and for those who study contemporary African women, art, and for those interested in cultural studies focusing on the modern-day African world. The authors Pascaliah Omiya an experienced global HR expert and entrepreneur and Odhiambo Siangla, a fine artist who has extensively travelled and exhibited his work, have both attempted through study and studio paintings to unify and honor the selected women of African Descent in this volume. The honor extends to the women’s embodiment as descendants of Africa in the continent, in the diaspora, and in the societies they interact with across the globe. We are introducing and awakening interest in Unique Contemporary African Art and availing it to our esteemed customers, young people and those who may otherwise have no opportunity to reach closely to enjoy. This is an initial preview of Art objects for sale and review. Through Studio Art painting, we are making the world culturally diverse. More details coming soon. We sell original Fine Art and prints, beautiful décor/holders in many colors and many other Africa inspired products.